[toc]Nail fungus is a kind of fungal infection in the nail. It could happen to anyone and hence it comes under the common category of fungal infections. If you are suffering with such an infection, you must ensure that you treat it at the earliest. If you think the infection is mild and would disappear on its own, you are mistaken. Whenever there is something unusual happening to your body, be it inside or on the outside, there is a cause to it. And, in order to get rid of it or heal yourself from it, you must deal or cater to the cause. Likewise when it comes to nail fungus, you must cater to it immediately. The sooner you work on such a problem, the earlier would you get rid of it. Some people experience different symptoms while experiencing nail fungus, pain could be one of them. Rather than increasing the intensity of the pain, you can reduce it by relying on suitable means to treat nail fungus. 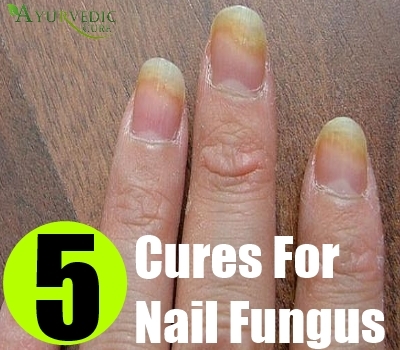 One of the better alternatives to medicines, especially antibiotics is to opt for natural cure for nail fungus. Natural cure is being well appreciated, not just for nail fungus but for many other health concerns. One of the most effective remedies for nail fungus comes in the form tea tree oil. It is a natural antibacterial source that works a perfect and safe medicine. All those who worry about side effects or any other kind of harmful effects, they can absolutely rely on this natural healer as it is very safe and highly effective. As much as it works on a number of infections, you can safely opt for this oil when you experience any nail fungus. All you need to do is take some tea tree oil and rub it on the infected area. Let it stay for some time before you wash it off. Preferably use it twice a day and when you use it in the night, you can let it stay throughout the night. Follow this procedure for a couple of days and you are bound to find it effective results. If you have white vinegar at home, you can immediately consider this to be a natural cure for nail fungus. 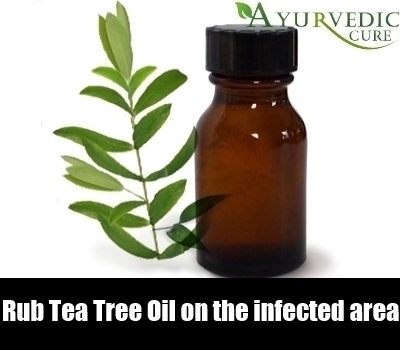 It is indeed one of the best remedies and does wonders as far as treating fungal infection is concerned. You will be surprised to see how it works. It is a brilliant choice simply because it has anti-bacterial and anti-fungal properties that cater to most kinds of infections. The procedure to use white vinegar is quite simple. Mix two parts of warm water in one part of white vinegar. Make sure you soak your toe in it, let it stay in for at least fifteen minutes. Make sure you don’t let it stay in for a long time. Repeat this procedure on daily basis for a week at least. One thing you must remember is that whenever you remove your toes from the vinegar solution, make sure you dry the feet well so that the infection does not spread any further. Apple Cider Vinegar is my favorite natural cure for nail fungus. A lot of people trust on apple cider vinegar because of its brilliant qualities it has. It works as a brilliant astringent and an antibacterial element. The procedure to use this remedy or natural cure is quite simple. All you need to do is mix some water in apple cider vinegar and soak your toe in it. Make sure you soak it in for at least fifteen minutes to half an hour. Repeat this procedure for a week to find some change, and if there is even a slight change, feel free to use it for a couple more days or a week. 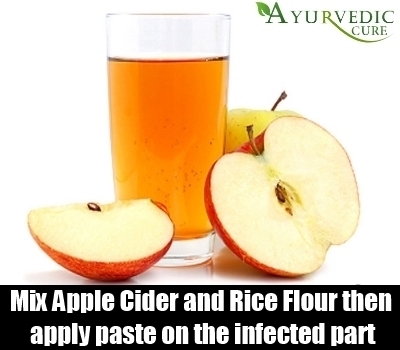 An alternative to this mixture is to make a scrub using apple cider vinegar and ground rice flour. These two ingredients together make it into a natural anti-fungal scrub. While using it on the infected nail, make sure you don’t rub too hard, keep it subtle, let it stay for a few hours and then wash it off with cold or warm water. The thought of using lemon juice on an infected nail may not sound very pleasing but the truth is that lemon brings with it immense antiseptic and antifungal properties too. Though it would sting a little bit initially but in no time the juice would settle in and start working its magic of healing the infected nail and allowing the infection to reduce. All you need to do is mix lemon juice with a little bit of olive oil and very subtly massage it on the infected nail. This will not just work on the infection but also help in enhancing the skin texture. Make sure you use this natural cure for at least a few weeks until the infection is eradicated from its roots. It is said that such infections easily make a comeback when slight traces of it remain. 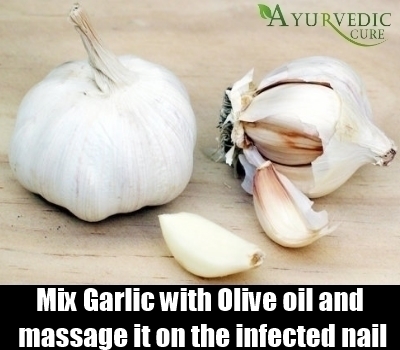 Garlic is very good for not just nail fungus but other kinds of infections too. It has a compound called allicin that works as a natural anti-fungal element. The best thing about garlic is that you can use it in different forms. Some people like to use garlic oil, which if you have it in your kitchen closet, you could most certainly use it, however not all of us have garlic oil available in our homes. However, you can create your own version of this oil. The procedure is quite simple. All you need to do is take a few garlic cloves, and add some olive oil to it. Some people like to heat it a little bit so that the flavors blend it whereas some let the cloves seep in the oil for some time before using it. You could use this oil to massage on the nail and wrap it with a soft cloth, not too tight or loose. Let it stay for 24 hours before you remove the draping.